"Rulfo 101" is an essay about Juan Rulfo's literary legacy. In "Projections on a Wall: A Hauntology" I write about the Berlin Wall, its history, and its various meanings. Published by 3:AM Magazine. 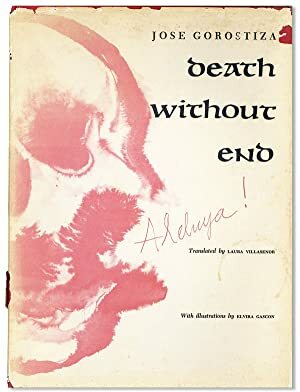 In "Augury of Ashes" I examine some of the relationships among philosophy, suicide, and fire within the context of 20th-century Czechoslovakia/the Czech Republic. It is an aphoristic narrative about the various overlapping connections among Central European protesters against communism, many of whom were philosophers. It deals specifically with the self-immolation of Jan Palach in protest of the Soviet invasion of Czechoslovakia in 1969. I trace connections among Palach and other self-immolators as well as across the themes of suicide and protest in philosophy. Other figures I mention include Socrates, T.G. Masaryk, Emmanuel Lévinas, and Jan Patočka. I conclude by briefly analyzing the opening sequence of Agnieszka Holland’s recent film about the political aftermath of Palach’s protest. Published by 3:AM Magazine. A new project encourages a second look at the Czech Republic’s late-communist public artworks. My article "Forgotten Art" focuses on artist-activist Pavel Karous, who has spent the past several years advocating for the preservation of public art created during the last two decades of communism. I contextualize his work within the 25th anniversary of the end of communism in Central Europe. I spent two weeks in Prague interviewing Karous as well as architecture critics, historians, and urban planners. This article also includes my interview with Ondřej Matějka, Deputy Director for the Institute for the Study of Totalitarian Regimes. Matějka’s analysis of Czech society helps to explain the dynamics of the art preservation movement. What’s really at stake here is society and government deciding what gets remembered and preserved as well as what gets pushed out of the debate altogether. Published by Transitions Online (TOL) and currently behind a paywall. Please contact me if you want access. Interview with Slovak writer Róbert Gál in minor literature[s]. Interview with poet Miguel Murphy in minor literature[s]. My essay "The Passion of Passivity: Blanchot, Bartleby, and the Ethics of Writing" examines Maurice Blanchot's phenomenology of writing in terms of passivity by analyzing the character of Bartleby in Herman Melville's novella and then putting it in context of Blanchot's friendship with Georges Bataille. Published by Black Sun Lit in their VESTIGES_02: Ennui (Boredom as a Luxury). Situated at the fissure between translation and hermeneutics, my essay "Negative Hermeneutics and Translation: The Unworkable Poetry of Wisława Szymborska" looks at two poems by Polish Nobel laureate Wisława Szymborska in an attempt to explicate my notion of negative hermeneutics, which stems from Maurice Blanchot’s philosophy. Blanchot understands that the material of language exposes us to a two-fold dimension. On the one hand, the text bears witness to certain historical and biographical information; on the other hand, the grammatological nature of the text exposes readers and translators alike to the rupture of radical difference and distance, thus revealing nothing about its author or its contexts. To what extent does a work have anything relevant to say about its author? To what extent does a work authentically speak of the historical circumstances in which it came about? Can a work from the past speak to us today? Can it ever be more than a mere artifact or historical curiosity to us? Published by Zeta Books. Levinas and Asian Thought is a collection of essays I edited with Leah Kalmanson and Sarah Mattice. It includes my essay “Facing (‘and Yet Not Facing’) East: Reorienting Lévinas toward the Buddhist No-Self,” which puts the decentered, other-oriented Lévinasian subject in dialog with the no-self of the kōan literature of Zen Buddhism and the ethical project of Nishida Kitarō. This work grew out of panels I organized and papers I presented at conferences of the North American Lévinas Society and the North Texas Philosophical Association. Published by Duquesne UP. Throughout my essay "Extreme Humanism: Heidegger, Buber, and the Threshold of Language" I attempt to bring into focus what I see as the thorniest point of proximity between two giants in twentieth-century ontology; that is, the nature of language in the delineation between human beings and animals within the work of Martin Heidegger and Martin Buber. I consider Heidegger’s conception of world in an attempt to understand how he sees the abyss—as well as the bridge—between animals and humankind. Buber’s more encompassing view of being seems to be a fruitful catalyst for moving Heidegger closer to something at which he hints but from which he withdraws. By exploring the relationship among human beings, animals, and language, I offer a way of encountering animal life that, although it speaks to Heidegger, is actually a way of being in the world that apparently was closed off to him. Links to my reviews of philosophy texts can be found at my Academic.edu page. To view my theater/performance reviews on TheaterJones, where I am a Contributing Theater Writer, I suggest searching my name on their site. My translation of the Polish bestseller Witness by Robert Rient comes out in autumn 2016 by Outpost19. Award-winning journalist Robert Rient chronicles his childhood inside Poland's hermetic Jehovah’s Witness community and describes how he eventually comes to terms with his life and identity after leaving his religion. Witness bears witness to a double isolation: first, the boy with a “feline faith” is ostracized by his peers in staunchly Catholic Poland in the 1990s, and second, after he decides to leave the faith, he is rejected by friends and family who remain in the religion. Through his writings, friendships, and training in psychology, Rient manages to survive, but only after completely shedding his former name and identity. Rient’s book is more than just a memoir; it is also an uplifting coming-out story and an important exposé of the psychological abuses suffered in the name of religion. "No Blood" is an excerpt from my translation from Polish of Robert Rient's Witness. Published by 3AM:Magazine. My translation from Polish of "Don't Burn Stairs" by Wojciech Tochman, published by Spurl Editions. It is the true story of Matthew (who was born with Ablepharon macrostomia syndrome, or AMS, a condition characterized by a lack of eyelids and a huge mouth) finding a new family. My essay "Saying Celan in Silence" offers a translation and analysis of Edmond Jabès' memorial writing from French on Paul Celan. Published by Black Sun Lit.